The Hindenburg is easily the most recognized airship disaster. But it’s far from the worst. 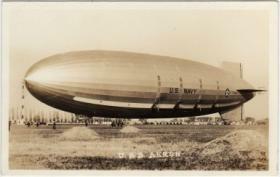 That unfortunate distinction goes to the USS Akron, a navy airship which crashed on this date 80 years ago. Seventy-three of the 76 crew members died. WABE’s Jim Burress sat down with Dan Grossman to talk about the disaster. Grossman is an Atlanta resident, airship historian, and maintains the website Airships.net. Grossman began by explaining what might have caused the Akron to go down off the coast of New Jersey.To hear the interview aired on All Things Considered, click the "play" icon above. 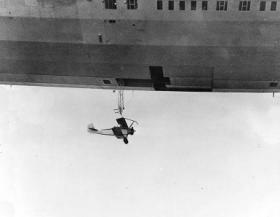 The USS Akron’s sister ship, the USS Macon, was named for the middle Georgia city. [S]everal communities across the United States began beating the drum to have the ZRS5 carry the name of their fair cities. But 1932 was an election year, and Representative Carl Vinson faced a difficult campaign in the Georgia primary. Vinson had been on the House Committee on Naval Affairs since 1914 and became its chairman in 1930. The ZRS5 carried the name of Macon, Georgia, the largest city in Vinson’s district. The USS Macon crashed at sea north of the ship San Francisco on Feb. 12, 1935.